Want to experience the THRILL and EXCITEMENT of trekking in challenging terrains? If yes, then head to the captivating regions of the Himalayas where the dreams of a trekking enthusiast materialize. Many people choose tough treks to challenge themselves and test their endurance and willpower. The trekkers have to go through various stiff challenges like high passes, rugged terrains, huge crevasses, giant glaciers and great altitudes. 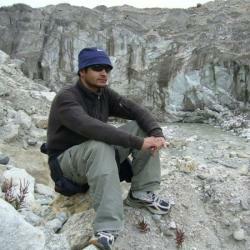 Visitors simply fall for the fascinating challenges offered by the Himalayan region. Whenever it comes to trekking, people generally imagine snow- dressed landscape. This is because the fun and thrill that a white canvas renders is matchless, and the best way to experience the adventure cuddled in snow is by embarking on the Panpatia Col Trek. Being replete with moraines, crevasses and snowfall, Panpatia Col Trek is perfect for trekking on ice. Perched at an elevation of 5260 meters, this trekking tour commences from the pious land of Badrinath. After paying homage at the main shrine of the place, trekkers head off on a journey that makes them go up and down the rugged terrain. 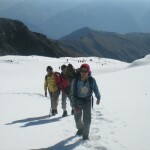 The main attractions of the trail include the Panpatia glaciers and snow fields. The magnificence of these two natural wonders is exceptional; they turn the action packed trek into a walk in a fairy land, which is covered with snow. During trekking, the view of the Chaukhamba and Nanda Devi peak spell bound the trekkers. In addition, there are many camping sites that have been included in the tour itinerary that will gift you lots of unforgettable memories to cherish forever. The final destination of this trekking expedition is Chopta, and from here the trekkers head off to Kedarnath. Have you ever imagined that you could trek in the frozen lake? If not, then trekking in the frozen river, which is also known as ‘Chadar Trek’, will provide you with memories that will stay with you for a long time. It is regarded as one of the hardest treks primarily because of the heavy snowfall and bone-chilling cold conditions. 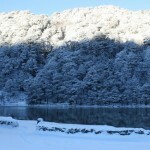 The river freezes in mid-January to February and it is the perfect time to plan a trekking expedition. The trek generally commences from Chilling and comes to an end at the picturesque Zanskar valley. Detailed planning and research work is required to trek in the extreme conditions presented by the trek, as the temperature ranges from -25 to –30 degrees. 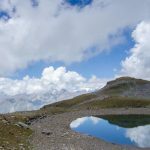 It is important that the visitors participating in this trek seek the assistance of an experienced and professional trekker to make their journey hassle-free. The Kalindi Khal Pass Trek is considered as one of the challenging treks in Garhwal region. It is located at an altitude of 5946m. The trek begins from Gangotri and ends at Badrinath, a popular Hindu pilgrimage destination. During trekking, the trekkers will get a chance to witness many enchanting places like Gaumukh, Nandanvan, Vasuki Tal and Kalindikhal. 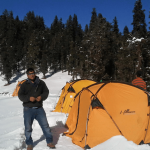 The trek offers a never ending excitement to the trekkers as it is replete with snow, glaciers and boulders. The beautiful sight of the various peaks like Satopanth, Vasuki, Bhagirathi, etc, just mesmerizes the trekkers. Auden’s Col trek perched at an altitude of about 5450 m tests the patience, endurance and skills of the trekkers. 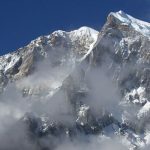 It is regarded as one of the most challenging treks in Garhwal that joins the Gangotri III and Jogin ridges and Khatling and Jogin I glaciers. It is considered as a tough trek because of the crevasses that are very shallow. It requires an exceptional skill to cross the crevasses. The trek commences from Gangotri and the trekkers will be required to pass through the dense pine and birch forests. The beautiful view of the snow-capped Himalayas proves to be an ultimate delight for the visitors. Nandi Kund, located at an altitude of 4800mts takes the adventure enthusiasts to the verdant landscapes and snow-fed peaks. The starting point of the trek is Madhyamaheshwar and the end point is at Kalpeshwar. Kalpeshwar is a prominent holy destination where Lord Shiva is worshipped by the devotees in the form of ‘Jata’ (matted hair). Another very interesting thing here is that the forests surrounding the Nandi Kund trek are also considered to be sacred by the people because there is a belief that the forests belong to the Pandavas. This trek is very difficult as the visitors have to overcome a number of difficulties in the form of big boulders and a descending slant. Though the trek is hard, yet it offers fruitful dividends in the form of lush forests, magnificent villages, pristine lakes along with an exotic wildlife. Nestled in Ladakh, Trans Zanskar Trek presents some tough challenges to the trekkers in the form of heavy snowfall that covers the entire region and very low temperature. The starting point of the trek is Darcha where the visitors are required to pass through high peaks, rugged terrains, climb mountains and cross water streams. During trekking, the trekkers will get a great chance to see the remote villages, conventional monasteries and meet the friendly Zanskari people. This trek is nestled at an altitude of about 5000 m at the base of the incredible Kanchenjunga Peak. The route will offer visitors a captivating view of the mountains as well as hot water springs and dense forests replete with various kinds of colorful flowers and rare species of wildlife. 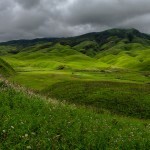 The Green Lake trek offers never ending fun and unforgettable memories to the trekkers. The trek will no doubt test the endurance level of the trekkers but the effort will pay off once the trek is completed and they get to marvel nature’s awe-inspiring beauty. It is one of the challenging treks and begins from Manikaran and passes through forests, stunning peaks and remote villages. Trekking enthusiasts will be required to trek over the glaciers in the Parvati Valley in Kullu and Pin Valley in Spiti. The travelers will be required to pass through the Pin Parvati Pass before reaching the Spiti Valley. The Pin Parvati Pass is nestled at an altitude of around 5400 m and is the highest point of the trek. The visitors will get a great chance to marvel at the snow-capped Kullu Eiger peaks, verdant pastures and crystal-clear lakes. The Bara Bhangal trek takes the trekking fanatics to the remote regions of Himachal. Bara Bhangal is essentially a magnificent village and to reach it, the trekkers have to cross the mountain passes, dense forests of pine, deodar, birch, etc, and streams. The visitors will be certainly be mesmerized by the bewitching beauty of the glaciers and amazing mountains. That is not all, as the visitors will also get the chance to see the culture of the Bara Bhangal village, taste their exotic cuisines and return with unforgettable memories. Trekking in the Indian Himalayas has always been the first love of adventurists. The Indian Himalayan ranges are bestowed with various wonders of nature that offer a picture perfect sight. In addition to this, concealed in these wonders is the thrill that every adventure junky looks for. Whether it is the Garhwal or Ladakh Himalayas, both of them are adorned with great challenges formed by the natural splendors like high passes, crevasses and snow fields; perhaps this is why they are the best destinations for trekking.